We also providing a Service to our client for trading in Currency Market. 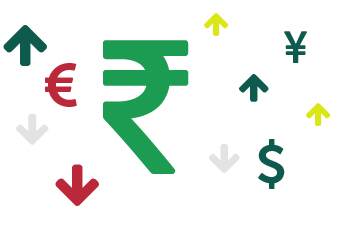 Currency derivative Market is a Highly Growing Segment. We believe that currency future segment is the business of future. For trading in Currency Derivative Segment Clients can place their orders with our nearest branch by visiting them personally or on the phone. Or else client can place their orders by way of Online trading. Through their user ID & password, clients can start trading online.